There is energetic power when a person’s message and the manner in which it is delivered is aligned with who they are and with how their energy shows up in the world. If this is not the case, the receivers of the message can be confused, distrustful, and not believe the message. As leaders, we communicate in order to convey a message and to influence others. We exchange information, ideas, and thoughts in order to inspire others to action, to clarify intentions, to let people know that they have been heard and understood, to learn, and to share who we are and what is important to us. Language has the power to create energy and is also a powerful expression of energy. While a word is just a word, our society, the dictionary, and our experiences attach meaning to words. Therefore, energy is attached to words. By becoming aware of the energy of language, a leader can become more effective in creating growth, development, creativity, and opportunities. It is a two-way connection as we also receive in return. This receiving part is called Active Listening. 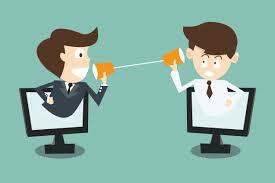 Active Listening is one of the most vital communication skills as a leader. Listening enables a leader to learn new information and new perspectives, communicates compassion and concern, and acknowledges and validates the person(s) being listened to. Listening with an open mind (a beginner’s mind) creates a foundation for creativity, intuition, and wisdom to flourish. Listening at an intuitive level encourages and moves a person into the moment and allows access to their higher being. 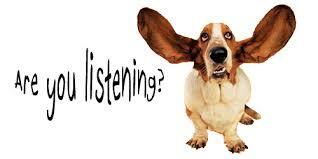 Not listening decreases and drains energy for both the listener and the person being listened to. The person being listened to feels limited, slighted, and less important. The listener is distracted – this alone distorts and decreases energy. Imagine how powerful it would be to communicate in a way that fully engages your family and organization in its mission and motivates individuals to take a path toward success. Imagine the opportunities for organizations, groups, or families that naturally and continually learn, grow, and achieve. This is the power of dynamic communication. Let us know your thoughts by commenting below and if you think someone else could benefit from this information…Share!